La-La Land Records released TRANSFORMERS: AGE OF EXTINCTION – The Score on CD on October 7, 2014. The album features original music by Steve Jablonsky (LONE SURVIVOR, ENDER’S GAME). The band Imagine Dragons contributes vocals and other instrumentation to five tracks. Their working relationship has led to numerous films, including the previous trilogy of TRANSFORMERS transformers films: TRANFORMERS, TRANSFORMERS: REVENGE OF THE FALLEN, and TRANSFORMERS DARK SIDE OF THE MOON. He also composed the music for the director’s recent dark comedy, PAIN AND GAIN as well as his 2005 futuristic thriller, THE ISLAND In addition, Jablonsky composed the original score for Bay’s Platinum Dunes horror remakes A NIGHTMARE ON ELM STREET, FRIDAY THE 13th, THE HITCHER, THE TEXAS CHAINSAW MASSACRE, and THE AMITYVILLE HORROR. His music theme is also heard in the company’s new dramatic television series THE LAST SHIP, which premiered on TNT this June 2014. In addition to his work for Bay, Jablonsky recently wrote music for Peter Berg’s action-drama LONE SURVIVOR, starring Mark Wahlberg and Taylor Kitsch and composed the score for Gavin Hood’s epic adventure ENDER’S GAME starring Harrison Ford and Asa Butterfield. He also composed the original scores for Ruben Fleischer’s GANGSTER SQUAD, David Gordon Green’s YOUR HIGHNESS and the Japanese anime film STEAMBOY directed by legendary filmmaker Katsuhiro Otomo, the man behind Akira. Jablonsky is best known on television for his music on the smash hit ABC series DESPERATE HOUSEWIVES. In addition, he composed the score for the award-winning telefilm LIVE FROM BAGHDAD as well as several series, including THREAT MATRIX and ESPN’s SPORTS CENTURY: THE CENTURY’S GREATEST ATHLETES. 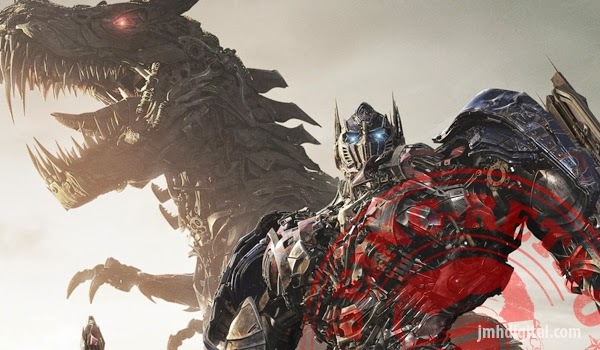 TRANSFORMERS: AGE OF EXTINCTION, the fourth installment of the live-action sci-fi film series TRANSFORMERS, begins after an epic battle left a great city torn, but with the world saved. As humanity picks up the pieces, a shadowy group reveals itself in an attempt to control the direction of history...while an ancient, powerful new menace sets Earth in its cross-hairs. With help from a new cast of humans (led by Mark Wahlberg), Optimus Prime and the Autobots rise to meet their most fearsome challenge yet. In an incredible adventure, they are swept up in a war of good and evil, ultimately leading to a climactic battle across the world. Paramount Pictures presents TRANSFORMERS: AGE OF EXTINCTION, currently available on Blu-Ray, Blu-Ray 3D and Digital HD. 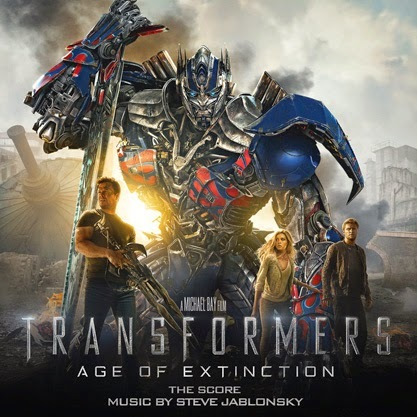 TRANSFORMERS: AGE OF EXTINCTION – The Score on La-La Land Records is available at http://lalalandrecords.com and other soundtrack retailers on CD.